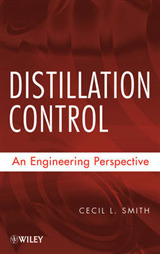 Now updated - the authoritative reference on one of the most exciting and challenging areas of the modern chemical industry This highly readable and informative reference continues to take a comprehensive, in-depth view of the products, markets, and technology of the fine chemicals industry and business. 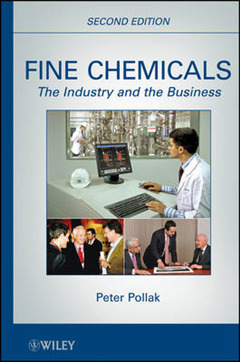 Dr. Peter Pollak, one of the foremost authorities in the field, provides an insider's unique perspective on fine chemicals from both a technological and a commercial viewpoint, covering all recent developments. He provides ample facts and figures including sixty-three tables, thirty figures, and nineteen photo inserts - making this a well-illustrated and documented text. 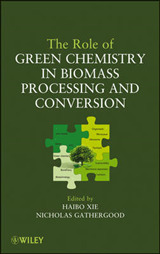 This reference is divided into three parts: * Part One: The Industry discusses the types of fine chemical companies, the range of products and services, the role of research and development, the underlying technologies, and the challenges facing management * Part Two: The Business explores the key markets for fine chemicals - such as the pharmaceutical, agrochemical, and animal health industries - and the relevant marketing strategies, as well as the ins and outs of pricing, distribution channels, intellectual property rights, account management, and promotion * Part Three: Outlook examines trends such as globalization and outsourcing, forecasts future growth and development by industry segment, and discusses prerequisites for success in the field This new edition features both updated and new information on the offer/demand balance for fine chemicals and the escalating impact of emerging companies in Asia, particularly from China and India. 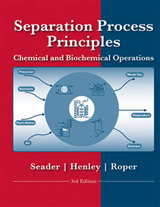 It describes the inversion of the mergers and acquisitions scenario from a seller's to a buyer's market, the broadening of the fine chemical business model, and the expanding role of biotechnology, as well as the impact of increased outsourcing of chemical manufacturing and the growing consumption of pharmaceuticals and agrochemicals by the life science industry. Also included are numerous molecular structures, engineering diagrams, and tables to facilitate understanding. For a thorough understanding of the technology, the business, and the future of the fine chemicals industry, this book's insight is unprecedented. 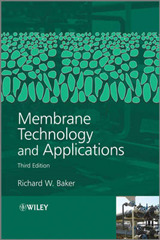 It is ideally suited for those in the industry - including employees, suppliers, customers, investors, and consulting companies - as well as academic and other research organizations, students and educators, public officials, media representatives, and anyone else who wants to understand the intricacies of the industry. 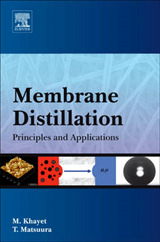 Fine Chemicals has been recognized as Outstanding Academic Title 2012 Choice, v.50, no. 05, January 2013.